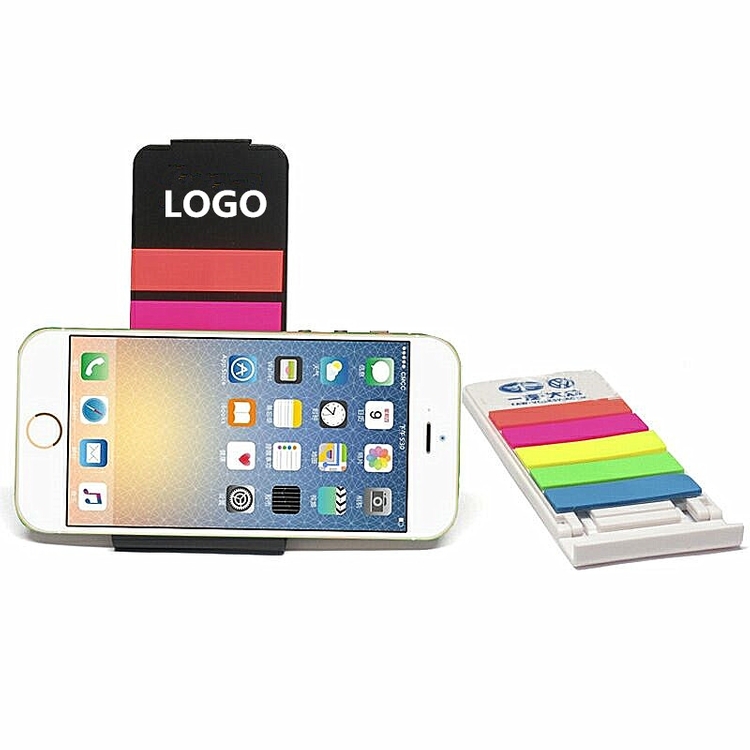 Convenient multi-use desktop bank holds your media tablet, mobile phone or business cards and includes 5 sticky notes. Each one containing 25 pages. 5 1/16"L * 1 15/16"W.